This article is part of our Android Police Wish List series. However, as time passes, there are features that I find myself repeatedly yearning for. Some are so, so, so simple that I can't wrap my head around the fact that the Google Home can't do them yet. These are overdue and it baffles me that we're almost one and a half year in the life of the "smart" speaker yet these options are nowhere to be found on it. So without further ado, let's dig in. Google Home can make calls now, but there's no sign of sending messages yet. Home knows my voice, knows my phone, knows the apps installed on it, it should just let me send messages on the speaker like I can with Assistant on my phone. Every single time I want to sent a WhatsApp message to my husband or mom or other friends or relatives, I start by saying "OK Google" to my speaker then remember it won't be able to do that. Then I pick up my phone. I can send WhatsApp messages on my phone. Home doesn't let me do it. Sending messages is long overdue and it's becoming laughably sad now. We need to be able to send messages, be it directly from the Home as SMS, or by routing them through third-party apps on our phones. Picture this. I wake up and I start playing some music on my bedroom Home. I get up and move to the kitchen/living room at the other side of the house to prepare my day's meal and get things in order before I move out. Can I say to the bedroom Home "continue playing on Living Room?" No. Can I say "pause" to the bedroom speaker then "play" to the living room speaker? Not even. Can I use the Google Home app to switch playback targets from one speaker to another? Of course not. I'll have to pause my music on one then issue the command again specifying the speaker I want to move to. If it's music, I also lose my progress so it gets started from scratch. I don't care how it's implemented, but Google Home has to start letting us easily transfer audio from one speaker to another, without losing our progress. Edit: As reported by David Hyman, if you're using Spotify, you can use "play some music" to continue on the other speaker. It works, but it's still an inelegant and confusingly-worded solution. Plus, I'm not able to test whether this applies to other music services. And it's only for music, not news or videos (if you own multiple Chromecast videos/Android TVs). If I had a penny for each time I've asked Google for the "weather at work" and got back a nonsense answer... This missing feature seriously irks me. My Google Home knows my voice, Google knows where I work, so why is it so tough to get an answer for "what's the weather at work?" For those of you lucky enough to work in the same city where you live, this isn't an issue. It's not even an issue for those who work in cities with easily pronounced names. But for someone like me who works far from home and in a city whose name can't ever be recognized by voice, it's impossible to get an answer from the speaker. The cherry on the cake is that the My Day feature - now the Good Morning routine - offers the weather at home only. I don't know about you, but when I get ready in the morning, I take into consideration what the weather is where I live but also where I work. For now, I have to use my phone to check the weather for the two locations. Edit: According to the comments, this is working for some of you, but it doesn't for many others. In that case, follow Scott Miller's advice and set a shortcut for "what's the weather at work" = "what's the weather in Xcity, Xcountry." I did it and it worked for me. It's voice-dependent so my husband can have another shortcut for his work address. However, this still doesn't help in getting the weather at work as part of the daily morning briefing. Google Home added support for multiple calendars a while ago, but that's only to inform you of upcoming events. Creating events is still done on a single default calendar (can be a shared one if you want), so you can't add events to multiple calendars without changing the settings each time. Other missing calendar features include support for G Suite calendars, birthday and holiday calendars, imported calendars, and the options to edit or delete an existing event. You know what's ridiculous? Alexa lets you connect G Suite calendars and delete events from all supported calendars, but Google Home doesn't. Shame. I can only have one default calendar to create events in. Amazon added a follow-up mode for Alexa just yesterday, and this quickly made my list here. There are instances when Google Home - either through native integrations from Google or through third-party Assistant apps - talks to you in a conversational mode where it asks several questions and listens for answers. But by default and for one-off questions, you can only ask the Home one question or two if you use multiple commands. Otherwise, you have to repeat, "Ok Google" to trigger it again. I'm not the first one to say it, but neither "Ok Google" nor "Hey Google" roll off the tongue. Repeating the command 3 or 4 times when you have follow-up questions is just annoying and far from an ideal interaction method. Amazon's solution is elegant: it's disabled by default to preserve your privacy, but when you enable Follow-Up, the Echo keeps its lights on for a few seconds after it answers a question to make sure you don't have another request. If you don't want it to listen, you can quickly dismiss it with a "thank you." Manners and smarts. Every Google Home owner still rues the day when the shopping lists were moved away from Keep and into Express. It's been nearly a year and we're still livid about it. But there's one more thing that I absolutely hate about that change: Ok Google commands previously let you manage lists other than shopping items. With the move to Express, that's just not possible anymore. Google Search can still do this. 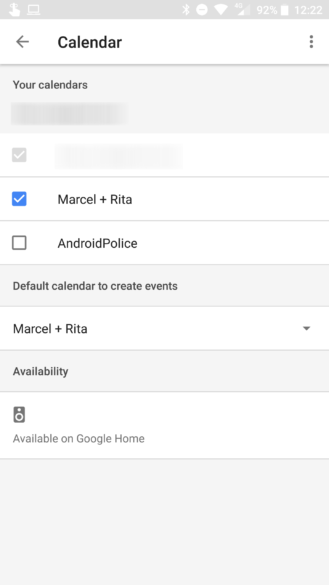 Assistant can't neither on phone nor on Home. So whether you have a few to-do lists, a listicle for movies you want to watch, or other items or notes or lists you keep track of, you can no longer manage any of those by voice. It's disheartening to see this still being abandoned when Alexa not only lets you create any list type you want, but also lets developers implement lists for their own skills. 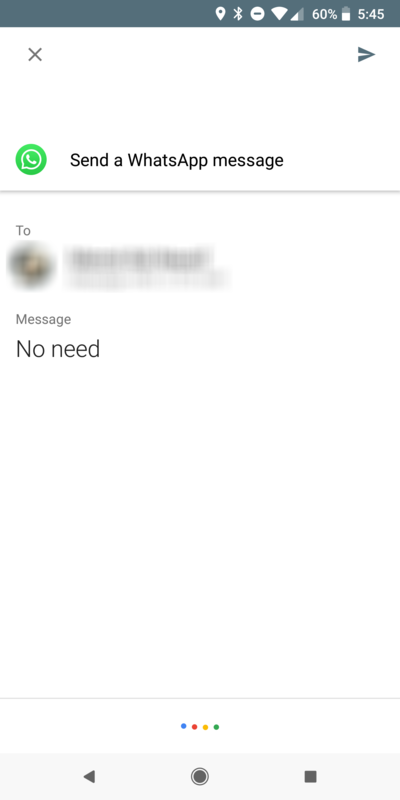 I don't want to beat on a dead horse here, but if Google really doesn't want us to use Keep for shopping lists, it should at least bring back Keep as an integration in Assistant and Home for note taking and other list types. For all the "smart assistant" naming that Google Home gets, it is a little bit dumb when it comes to something: knowing how to reply to me. Any smart human assistant would recognize when you're talking in a hushed tone and reply the same way. Google Home doesn't. If it was previously set to blaring 100%, it will answer in blaring 100%. Google Home already has a night mode that lets you lower the volume at a preset time each day, but that doesn't take into account the intricacies of everyday life. Sometimes a family member is taking a nap nearby, sometimes you don't want the answer to be heard from other rooms, and sometimes you're just going to bed earlier or waking up later than usual. Understanding when to automatically lower the answer's volume complements night mode to account for these situations. It's been six months since you've been able to assign all your Google Home speakers to rooms, just like you can do for your lights, thermostats, and other smart home devices. However, nothing has changed functionally since then. When I tell my living room Home to turn off the lights, it still turns off all the lights instead of inferring that I meant only the lights in the living room. Again, this is another example of a feature that Alexa has had for a while and that Google Home doesn't yet. The same way that every Google Home lets you set a predefined speaker/group and TV to listen and watch things on, it should let you set it to control all the smart home devices of a certain type or just the ones assigned to the same room it's in. Or, preferably, make it understand its own context by default. When Google added the broadcasting feature to the Home, the first thing I tried was sending a message to one specific speaker. It didn't work and it still doesn't. When you broadcast, your entire fleet of Homes plays back the message, so you can't tell your partner to wake up without also waking up the entire house, or tell some kids that it's movie time without also disturbing the ones studying or working. The worst example is when you have Home speakers in multiple locations, not just rooms. Maybe you bought one for your office or your parents and it's under your account. If you broadcast a message, all of these might play it back. I say "might" because it doesn't happen consistently in my testing. Sometimes it only broadcasts to the speakers on the same WiFi, sometimes it broadcasts to all of them. Still, even if it was limited to the current WiFi network and location, it doesn't offer granular control to broadcast to one speaker or a small subset of them. And it should. When you've gone through the trouble of connecting your 3 or 30 (or if you're Artem, 300) smart devices to the Google Assistant, you expect to be able to control them properly. However, there are instances where the Home doesn't hear you, doesn't understand, or completely blacks out and forgets that it can do something. In those cases, and in all the instances where you'd rather tap a button than yell at a speaker, the Home app should provide a visual interface for your devices, like Apple Home and Samsung SmartThings do. It helps that this works as a dashboard so you don't have to ask if your door is locked, then ask if your porch lights are on, and so on. One glance and all is visible. 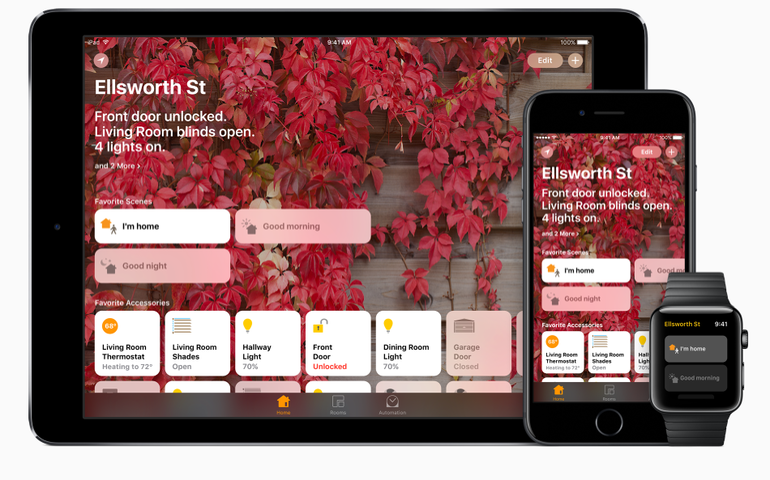 Apple Home shows your devices' statuses and lets you control them. I did leave this one til last, because I know that it's not exactly a "stupidly simple" thing to implement. Controlling and polling information from smart devices on demand is very different from keeping a device's state continuously in sync, which a visual interface would require. But still, it's one feature that I miss having more often than not. Looking back at the list, it's sad to see that some of these no-brainer features are still missing from Google Home. I get that it's a niche product and that it launched after the Echo line, but with Google's might behind it, there's no excuse for such a delay. And I only scratched the surface there. 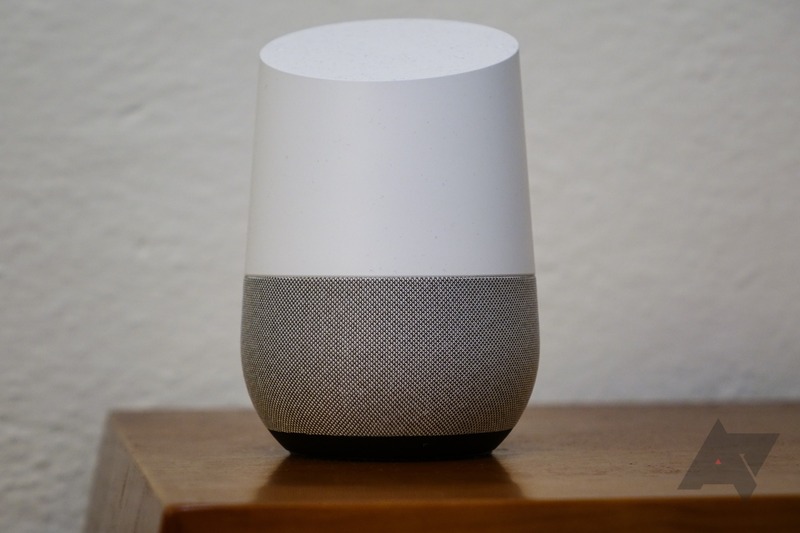 Dozens if not hundreds of features are still annoying with the Google Home, like the fact that it repeats the entirety of a command each time to validate that it's doing the right thing, or that it's still missing a proper intercom mode, or that Voice Match settings are a one-size-fits-all instead of accounting for spatial differences depending on which room the speaker is set in, or that you can't find and ring a specific phone but have to wait for it to enumerate the full list of devices on your account... and more and more. But with Google's heavy push on all Assistant fronts since the beginning of the year, and the frequent announcements of improvements and new features, I am a little optimistic. I/O 2018 is also around the corner, so we can only hope that some, if not all, of these holes in the feature set will be plugged soon enough.